Chop Suey - a dish that doesn't exist in China. The word is a direct transliteration of 雜碎 which means miscellaneous left overs, randomly thrown together. The story is that white folks approached Chinese railroad workers in California, wanting their food. So they got some. "What’s this dish?" . "Jaap sui". 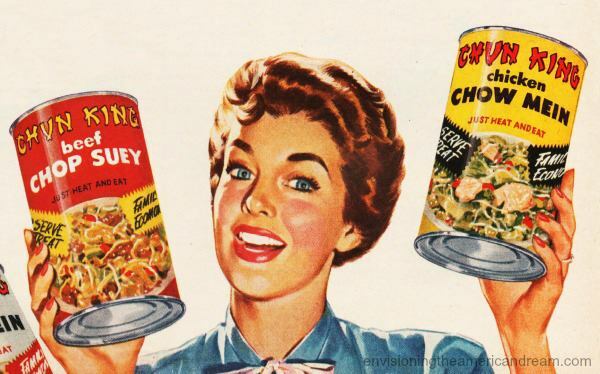 The idea of CANNED leftover scraps is cultural crime. Kind of explains some things.